On today’s show, we discuss the graphs and charts of Writing Task 1, and the most common errors students make when writing about them. All Academic Writing Task 1 “numbers” questions can be divided into two groups: Change Over Time and Static. If the question is about numbers, usually on a line graph or bar chart, that change over more than 3 years, or hours, or days, this is Change Over Time. If there a table, bar graph or pie chart that shows you numbers about one year or two years, this is a Static question. 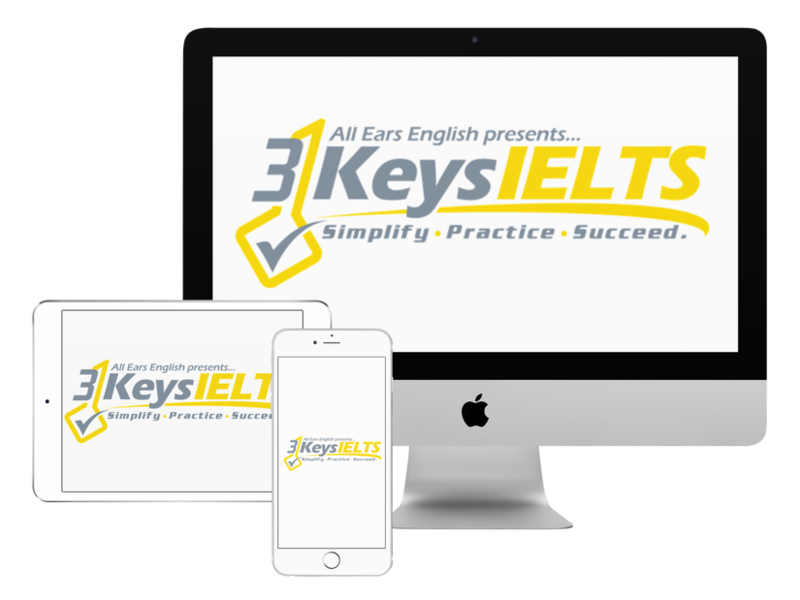 In our course, 3 Keys IELTS, I give you all the sentence structures, vocabulary and strategies to write a high-scoring essay for these questions. Change Over Time necessitates vocabulary and paraphrases for increase/decrease. Most IELTS students have memorized lists of synonyms for increase/decrease. Those students get a 6. If you want a 7 or higher, you must show the examiner more interesting words and phrases. You can find excellent vocabulary in the business section of English-language newspapers. Static vocabulary is all about paraphrases for higher/lower. DO NOT use increase/decrease vocabulary on this question! It is not appropriate and will lower your vocab. score. Focus on specific sentence structures for Static about making comparisons. Put your overall trend in the introduction. If you don’t have it, your score automatically goes down! The overall trend in Change Over Time says overall how these numbers went up or down. The overall trend in Static simply says what is the highest/lowest numbers. Has this advice helped you understand IELTS Writing Task 1?